The traditional list doesn't go up to the 65th anniversary and so there is quite a difference of opinion on what the 65th means! Although you feel it must be something amazing. Some lists state that your 65th wedding anniversary is celebrated with diamonds, which we have as your traditional 60th, follow the link for lots of ideas for gifts for parents and grandparents. Other lists have Star Sapphire, and this is on a number of lists. 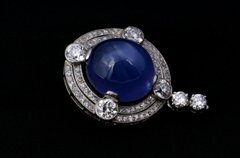 This type of sapphire is when the gem is displaying aster-ism, in other words it looks like there is a star in the stone. They are very prized and wow if you could find one of those for your 65th anniversary that would be amazing. There are lots of sapphire gift ideas in our 45th wedding anniversary section. When you have been married for sixty five years you have a huge number of memories. And this Anniversary book is a lovely way to share their memories with all of you. 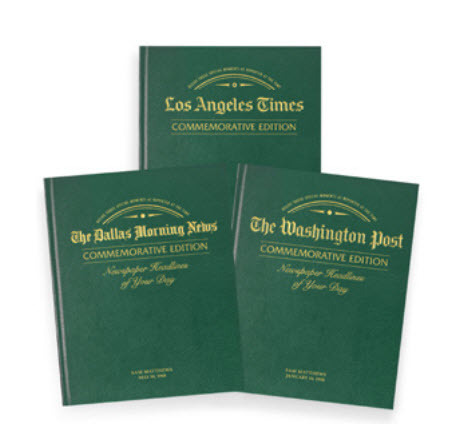 The book is personalized and made up of all the front pages of every Anniversary day since the day they were married. Just think of all the stories they will be able to add. All the details of the book are here. If they love to do a jigsaw puzzle this one would be perfect for their 65th Anniversary as it takes them back to the day they met. The jigsaw puzzle will be centered on the place that they met, which has a heart shaped piece. 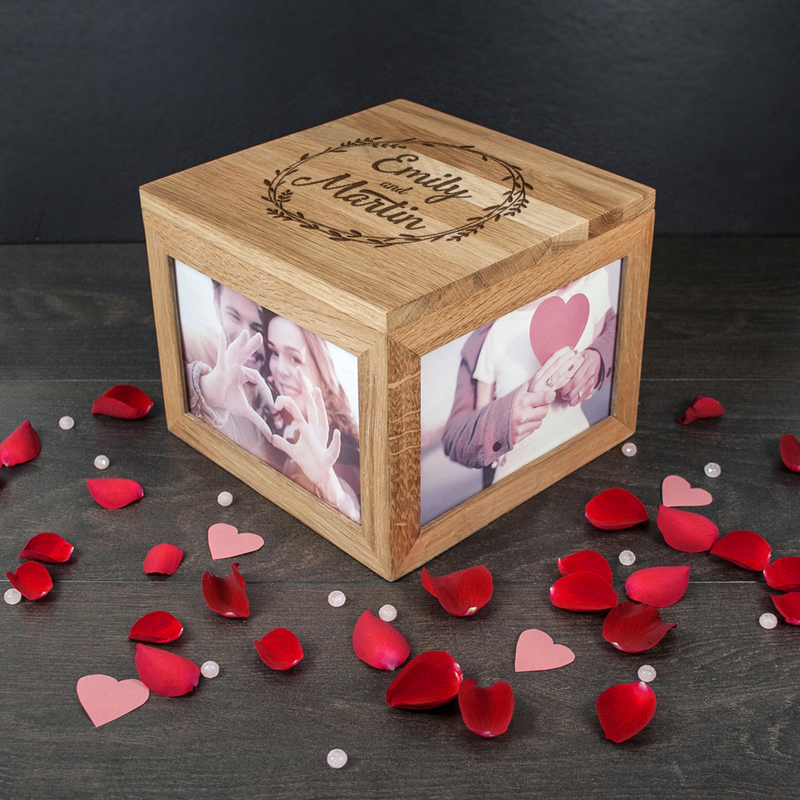 This lovely wooden photo box makes a great Anniversary gift. Not only can you show all of the best photos, you can also add a surprise inside the box . There is plenty of space for their favorite candy or a little homemade gift. Your 65th wedding anniversary is a big celebration, if you live in the UK you could receive a letter from the Queen and in the States from the president. Both will need some planning and you will need to complete a form to apply for your letter from the Queen or if you live in Australia, New Zealand or Canada then you will need to apply to the Queen's representative, more information is here. In the United States you can apply via your State Senator, here is a full list of Senators for you to apply to. Be warned there seems to be a bit of a wait as some messages are taking months to come through. They ask that you apply 6 weeks in advance of the date but it might be an idea to start sooner than that. However long an Anniversary message takes it would still be a big wow, so don't worry if it doesn't get there in time.